"Specializing in the treatment of eating disorders and co-occurring disorders including trauma, substance use, depression and anxiety disorders. 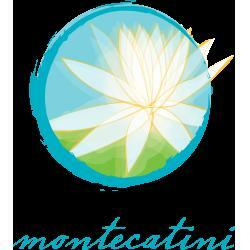 Located in scenic Carlsbad, California, three miles from the Pacific Coast, Montecatini provides life-changing care to women ages 16 to 55 who are struggling with anorexia nervosa, bulimia nervosa, binge-eating disorder, other forms of disordered eating, and co-occurring diagnoses. From our residential, partial hospitalization, and outpatient programs to our free support groups, you will discover a dynamic and vibrant healing community that is dedicated to treating your mind, body, and spirit. Our approach is collaborative and highly personalized, born out of true empathy and compassion." "Timberline Knolls Residential Treatment Center offers a nurturing environment of recovery that helps each woman in our care to strengthen herself from within. Every member of our accomplished team commits to embodying our Core Values by serving our residents and their families with: Uncompromising Care Relentless Compassion An Unconditional, Joyful Spirit Timberline Knolls is located on 43 tranquil acres in the suburbs of Chicago. Residential treatment at Timberline Knolls includes a state-approved school for adolescents and 24-hour, 7 day per week medical care. Our intensive, holistic 6 treatment model results in a depth of recovery that is transformational for residents, and fulfilling for our staff. The team at Timberline Knolls is comprised of medical and clinical experts in treatment for eating disorders, drug and alcohol addiction, mood and anxiety disorders, and co-occurring disorders." With treatment offered in a farmhouse setting in Durham, North Carolina, and a community-based day program and intensive outpatient center in Raleigh, North Carolina, Carolina House provides high quality care to those who struggle with eating disorders and co-occurring mental health concerns. At each of our locations, we treat individuals aged 17 and older who have a minimum BMI of 13, have a partial motivation to obtain recovery, and who are able to independently carry out daily living skills. 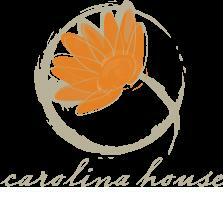 With a specific focus on treating anorexia, bulimia, and binge-eating disorder, Carolina House supplies an exceptional amount of therapeutic services to help bring about recovery in its clients. Therapies such as dialectical behavior therapy (DBT), cognitive-behavioral therapy (CBT), acceptance and commitment therapy (ACT), and 12-step programming are supplied to encourage clients to effectively sort through their emotions, and develop a strong footing in recovery. At Carolina House, a staff comprised of a psychiatrist, a physician, licensed therapists, nurses, an art therapist, and registered dieticians help clients put an end to their disordered eating habits and poor mental health. We offer outpatient programs for men and women aged 17 and older at our Raleigh location, where additional therapies including motivational interviewing and psychodynamic therapies are provided. The partial hospitalization program (PHP) is offered to the same demographic in Durham, and provides clients with medication management, individual therapy, family therapy, group therapy, and experiential therapies. To round each level of care provided, Carolina House also offers a spiritual program, interpersonal groups, and yoga and mindfulness exercises for its clients. Located in Reno, Nevada, Center for Hope of the Sierras provides personalized treatment and comprehensive care to those who come through our doors. Our center provides residential treatment, partial hospitalization, and intensive outpatient treatment to individuals aged 16 and older. Those who are 14 and older are welcome to partake in our partial hospitalization and intensive outpatient programming. 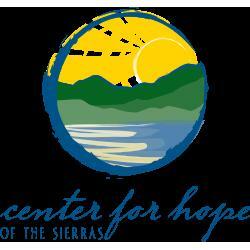 Center of Hope of the Sierras treats a number of conditions, including eating disorders, chemical dependency, and co-occurring disorders. Some of the most common conditions addressed include anorexia, bulimia, binge-eating, body dysmorphia, substance abuse, depression, anxiety, self-harm, trauma, and bipolar disorder. In addition, Center for Hope of the Sierras is the only center that provides treatment for co-occurring diabetes and eating disorders, also known as diabulimia. To help address these complex conditions, Center for Hope of the Sierras offers Dialectical Behavior Therapy (DBT), group therapy, nutritional therapy, continuing care, and interventions to help keep clients on an upwards track of success. On our team, we have therapists, a dietician, a review specialist, a nurse supervisor, and other clinical staff who help provide the utmost quality of care to our clients.